Today, I want to talk to you about how to advertise your MLM Business. I’ll cover the best places and best ways to advertise your MLM Business, so you can get more leads and make more sales. I will only share tips and strategies I have used myself. I know there are MILLIONS of network marketers out there wondering where they can get leads for their business. I used to be one of those people. After all, EVERYONE wants and needs more leads, but most people don’t know how to generate their own leads. Without a steady flow of new qualified leads, your business is doomed. In my opinion, the # 1 reason people quit our industry is because they don’t know how to get leads. Most people who are desperate to get more leads eventually decide to ADVERTISE their business. Because they don’t have experience in sales, marketing or lead generation, they get horrible results and lose money, and end up quitting the business. I hope to fix that. First and foremost, you should NEVER advertise your business opportunity: EVER. It’s the fastest way to waste your advertising budget and go broke. I know that sounds weird, but hear me out for a minute. The truth is people really don’t care about your business opportunity. Most people only care about themselves and their own problems. People don’t buy a drill because they want a drill. Instead, they buy a drill because they want a hole! I learned that lesson from a successful online marketer, and I am 100% convinced it is true. If you look across the internet, or in newspapers or magazines you will see everyone doing the same thing. Everyone is promoting a ground floor opportunity, an amazing way to make money and work from home, an opportunity to make six figures a year just by following an automated system, or an ad about why their business is so great. Most quality prospects have become PUT OFF by these ads. As a result, most of these types of ads are ignored. Secondly, many of these people already have a business opportunity of their own. Therefore, they are not in the market for what you are offering. Hence, your advertising money is wasted. Plus, if you use this type of ad you will typically attract the wrong type of person. These types of ads typically attract the MLM Junkie, or someone who is looking for a work from home job, or someone looking to get rich quick. All of these people are HORRIBLE prospects for your network marketing business. Work from Home. Create Residual Income. 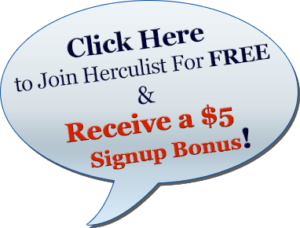 Earn $500 to $5k per Month. Free Training Included. Call 555-555-5555 to learn more! You probably think it’s another MLM ad, so you ignore them just like I do. On a side note, this doesn’t mean that people aren’t interested in your business opportunity. It just means that the traditional way of advertising your business opportunity doesn’t work like it used to. You see, most people are BOMBARDED with marketing messages. Most people are exposed to THOUSANDS of marketing messages every single day, and for the most part, they tune them out. Your goal is to find a way to break down that barrier and get noticed. You have to stand out in the crowd and be different. You also need to realize that most people need to see a message 10-20 or more times before they will ever respond to it. Before I get too deep into today’s topic about how to advertise your MLM business, I should give you a quick class on marketing and advertising. The first thing you MUST know is that EVERY business has a target market. If everyone is a prospect, no one is a prospect. A target market is a group of people MOST LIKELY to be interested in what you are selling. For example, McDonald’s target market is people who want cheap food and want it fast. No one goes to McDonald’s for customer service or quality. When it comes to network marketing you have TWO target markets: one for your opportunity and one for your products or services. Your target market for the business is other network marketers, small business owners, salespeople, and entrepreneurial people. Your target market for the products or services is people already buying similar types of products, who have the disposable income to buy from you. The more specific you can make your target market the better. If you haven’t taken the time to determine your target market yet, you are wasting your advertising money. Don’t spend one more penny on advertising until you clearly define your target market. Put some serious thought into it. Once you know your target market, the second thing you should know is the difference between a one-step and two-step selling process. What most people do is place an ad to sell something. These are your typical MLM ads that you see in most publications and online. These are ads that talk about the product, service or business opportunity. These ads use the one-step selling process. This means the purpose of their ad is to make a sale RIGHT THEN AND THERE. Their ads only appeal to people who are in the market to buy what you are offering TODAY. If they’re not in the market for what you are selling right now, they won’t buy from you. Think of a one-step ad as someone going after the low hanging fruit. On the other hand, a two-step selling process advertises free information, instead of selling something. Simply put, you focus on generating leads by giving away free information, and then your free information does the selling for you. The TWO-STEP selling process is the most effective and efficient way to advertise your MLM business and generate leads, as I see it. From this day forward, ALWAYS use the two-step selling process. I promote a wellness company. I recruit two types of people: other network marketers and product users. Those are my two target markets. To potentially recruit other network marketers I give away a free boot camp. It’s a 7-day boot camp designed to teach people how to be successful in the industry. The boot camp provides tons of great information and value. At the end of the boot camp, I offer my opportunity. Anyone who enjoyed the boot camp, AND is in the market for a new business opportunity, normally reaches out to me. They see I know what I am doing. They call me to learn more. That makes recruiting easy. It makes the business fun. I don’t pitch anyone. I offer value and let interested people in my target market reach out to me. I use the two step selling process because it works. Generate a lead first. Provide value with your free offer. And then follow up with that person until they are ready to buy or join. Sometimes it takes MONTHS, even YEARS to convert a person into a team member or customer. I don’t care how long it takes because I am in this business for the long haul. I always take the long-term view. My only focus is to add new leads to my pipeline every single day. My pipeline sifts and sorts through my prospects to help me find the right people. This is a much better approach than advertising a business opportunity. Rather than advertising your business opportunity, you could give away a free report title “Top 10 Mistakes Network Marketers Make”, an eBook you wrote titled “10 Ways to Make Money from Home”, a DVD you created called “10 Ways to Create Passive Income” or anything else that people in your target market would want to know more about. You would then advertise that free information/item to people in your target market and interested people could request the information by visiting your capture page, and typing in their name and email. Once people receive and read the information, interested people would get in contact with you. You would also have a good email follow-up sequence in your auto-responder. When it comes to finding customers (customer and wholesale buying distributors), you could do the same thing. You could then advertise this free report in publications read by people in your target market. People would visit your capture page to request the free report and your free report would introduce them to your products. Having a good auto-responder sequence is your secret weapon. It lets you follow-up automatically. It gets people to know you, like you and trust you and WANT to buy from you. All of this is low pressure, efficient and effective. My emails do all the sifting, sorting and selling for me. I only handle calls when people CALL ME or place an order on my website. As a result, I don’t have to deal with negative people or get rejected. Remember this, most prospects need MINIMUM 10-20 follow-ups before they will buy from you. If you’re looking for more customers and product users you definitely want to do the same approach with your advertising. Give away free information that also introduces people to either your products or business opportunity. Promote your capture page with paid advertising so you can generate leads. Have a good follow-up email campaign that does the selling, sifting and sorting for you. Only talk with people who reach out to you first! This is the most effective strategy I know of to advertise your MLM business. Once again, your follow-up should be automated, preferably using an auto-responder. You can also use direct mail or a combination of both methods like I do. When it comes to the best place to advertise your MLM Business, you simply need to place ads in different media where you will find lots of people in your target market. Next, you need to advertise something for free and utilize the two-step selling process. Make sure you free information positions you as an expert and introduces your prospects to your products, services or opportunity. Have a clear call to action telling your prospects what you want them to do next. If you’re trying to advertise your MLM business online, you need TRAFFIC. These are targeted visitors who visit your capture page to learn more about what you have to offer. What you will see below are some of my favorite ways to get traffic online. I use all of these services myself. For about $50 per year, and sometimes it goes on sale for about half that price, you can email up to 80,000 people, once per day, seven days per week. With most emails I send out, I generate about 10 new leads. If you did that every day for a year, you could generate anywhere from 3,000 to 4,000 leads (individual results will vary). Let me tell you, that is a great deal for the $50 yearly membership. You can also purchase solo ads from them at a very affordable price. I try to purchase 2-4 additional solo ads per month. Normally, they double or triple your order when you buy solo ads, at no extra charge. Once again, it’s only about $50 for a yearly GOLD membership. They also have an amazing affiliate program where you can earn up to 50% of everyone you refer to them. Learn more about it here. This little service is badass. Check it out for yourself. You can click on the image below to take a free tour and see for yourself. This is a wonderful advertising service. They have many different affordable options to choose from. You can do solo ads, banner ads, credit mailers, text ads, and much more. It’s basically set it and forget it advertising. There are even free options. You can earn credits by reading emails if you want to, which can be redeemed for free advertising. I purchased the $100 LIFETIME membership, which got me a ton of free solo ads and other advertising. For the money I spent, it’s been a HUGE value. I highly recommend it. If you’d like to learn more, check out this link. This is a wonderful, affordable and hands free way to promote your business online. I am a satisfied customer myself and happy affiliate. It’s free to join and use. You can promote your ads for free by watching other people’s ads. Or, you can purchase inexpensive banner ads and text ads, and put everything on autopilot. I bought 200,000 banner ads for about $12. They also have a generous affiliate program. Learn more about Hit Links. For a one-time fee of $19, this service will let you promote your ads and create a nice little additional income stream at the same time. I love this service. They even follow up with your leads for you. Take a free tour and see for yourself. With more than 1.4 million members, this 15+ year old website is a great resource to promote your business. There are free and paid options. You can promote banner ads, text ads and more. You can even earn free promotion by viewing other people’s ads. Check it out here. If you’d like me to help you advertise your MLM business, I offer two options for my website visitors. In conclusion, these are my best tips and strategies about how to advertise your MLM business. I hope this idea resonates with you. If nothing else, try it! See what happens. I think you will find people are WAY more receptive to free information than they are a business opportunity. Focus on generating leads and then have a good follow-up system in place to convert some of those leads into customers and distributors. As I see it, that is the best way and best place to advertise your MLM Business. On a side note, you should still talk to people when you are out and about living life. Nothing beats face-to-face communication. But, if you are going to combine prospecting with advertising, this is definitely the strategy I use and recommend. Even though this post is an oldie, it’s definitely still a goodie. I recently signed up as a brand ambassador for a child company of medical marijuana inc. I originally did so because the BA’s get discounts on their CBD products, and I truly love their products. I’ve been using them since May, and now I’m wanting to actually branch out and start sharing these products with people who truly would benefit from them. The business opportunity with this network marketing company is also a fantastic one (but MLM is tricky), and your post has offered more info for what I would need to do than many others (even the training material through my back office) I’ve found online. Clear and concise with actual, follow-able resources. Thank you for this! Hello, The information what you shared is really good and informative. For online promotion, I prefer Youtube first. As this is the place where we can reach all kind of people easily through mobile device. It did really successful for my business. I’m glad you’ve gotten great results using YouTube to grow your business. Thank you so much for all of this great information, it was so helpful to me. I was thinking about getting more involved with an MLM that sells gold for those interested in investing in precious metals. Based on your blog post, I thought about an idea of creating a Free report on the “Benefits of Investing in Precious Metals” via a capture page. I’m so new to all of this and would love your thoughts. If you read this and respond, thank you! Something like a top 10 list would be really good. Good information. However I have kind of a different problem. The opportunity I share is free. The “product” I’m trying to get out is a service in which if they online shop through this portal they will make money back on their purchases plus the people they refer, as they buy they will get referral cash back on their purchases as well! This can be built very large. There is huge potential, and I know to target online shoppers, but there is nothing ‘free’ to offer but the opportunity itself The money comes from the advertising budgets from the stores themselves.I have heard this before about offering something free. Don’t really know other than just advertising it as what it really is. Advertise a free report about how to save money when you shop and mention your service at the end. That is what I would do. Great ideas Chuck really appreciate you sharing. Great article Chuck… very useful information. These days it is very easy to use the internet to build your Network Marketing business once you set up the systems. Social Media is a gold mine IF used correctly, unfortunately however most people don’t understand Social Media and use it to spam people. Thanks for the kind words, Moni. I agree with not advertising your opportunity. It totally turns people off and they never hear another word. Do you think paid advertising is the best way to go? No, but it is one way to go. Building a mailing list from sales ( MLM book,and others), Blogs, and forums can be a great way. I have genertaed more than 1000 leads using this method. With mobile technology now, i generate leads using whatsapp software and with Bulk sms . These are my latest methods of ;promoting MLM. Have you used bulk sms or whatsapp bulk software before? I would never endorse bulk texting. It is just a form of spamming. Hi, I came across your website. Great thing I did. You have some really great ideas about marketing. Some marketers advertise their site not knowing their market. Product users is really a great idea. I usually target network marketers and work from home. Thanks for posting. ..Keep it Coming..
Glad I could help. Yes, every business has a target market, and sometimes multiple markets they could focus on. It’s best to pick one target market and focus all of your budget and efforts on that target market. Learn everything you can about them. Find out their hopes, wants, needs and desires. Figure out their problems. Figure out the best place to reach them. And then offer some free information that might be of interest to them. That is what I recommend. Chuck, really, really really good advice and value! Thanks! Great article, very helpful informaion. You really need to know your target market well. Many places that I do business with have short surveys (sometimes just a single question), asking “How did you hear of us?” It could be as easy as having an employee ask the customer on the way out of the store, or one button to click after an on-line transaction. That way the business owners know immediately where their paying customers are coming from, whether it is an on-line ad, a poster or word-of-mouth. And that will enable the business owner can put their advertising dollars where they will work. I agree. I’m always focusing on my target market. That is how you work smart. I agree that a free item is the way to find your leads. I was just curious Chuck, what auto-responder do you use? Also, is there a very low, or no cost auto-responder? It is quite wise advertising in magazines too. You may even think of ads in newspapers. I am going to absolutely save this webpage because you have excellent material here. I must read this a few more times. Thanks Chuck. I use Aweber for my autoresponder. It’s $1 per month the first month and about $19 per month after that.